BIPAVER is widely regarded as the European retread industry's most active and influential trade association, representing National retreading associations and leading suppliers to the retreading industry from 11 Member States. 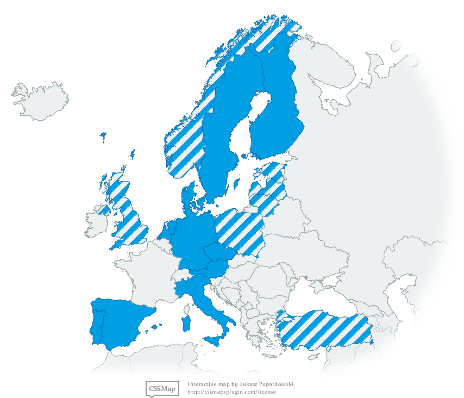 The National Associations of Spain, Portugal, Italy, United Kingdom, Denmark, Sweden, Finland, Germany, the Czech Republic, Austria and the Netherlands are currently in membership and a campaign to encourage other EU States to support the work of BIPAVER is underway. Membership is open to National Associations representing the retreading industry and individual members from countries not already represented by an Association. For instance Poland today has no association and is represented through the Polish Retreading Company Colmec. Membership is not restricted to tyre retreaders - any organisation or individual with an involvement in the industry, either direct or indirect, is invited to apply for membership. Details of membership are available from the Bipaver Secretariat by e-mailing info@bipaver.org. Originally formed in Switzerland in 1954 to represent the interests of both tyre retreaders and retailers, BIPAVER now operates from the Netherlands and was completely restructured in 2011 to represent exclusively the tyre retreading industry. At that time the organisation was renamed as BIPAVER, Bureau International Permanent des Associates de Vendeurs et Rechapeurs de pneumatiques, The European Retread Manufacturers Association. Association VACO, the National Association representing the interests of the Dutch tyre business and retreading industry carries out the administration of BIPAVER, while the technical representation is in the hands of the BRV, the German association representing the interests of the German retread industry. promote its activities and objectives to all agencies and organisations that might influence BIPAVER's activities.